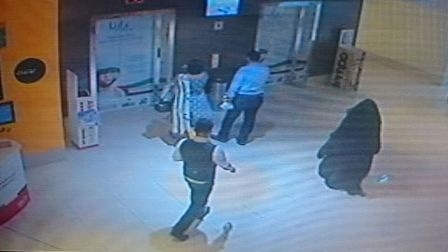 Tuesday An American woman died after suffering fatal injuries supposedly during an altercation (according to witnesses) that took place on Monday afternoon inside the ladies public bathroom of a shopping mall on Reem Island in Abu Dhabi. The injured woman was immediately rushed to Sheikh Khalifa Medical City where she succumbed to the wounds she sustained in the attack. Investigations are still underway to identify the suspect’s identity and gender. Witnesses reported that the culprit was fully covered wearing an abaya, black gloves and face cover (Niqab).